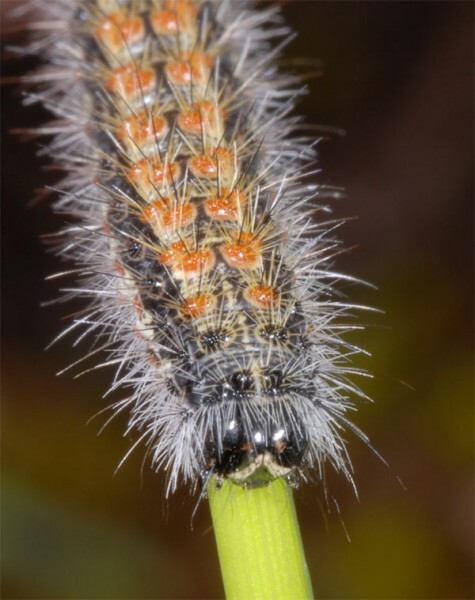 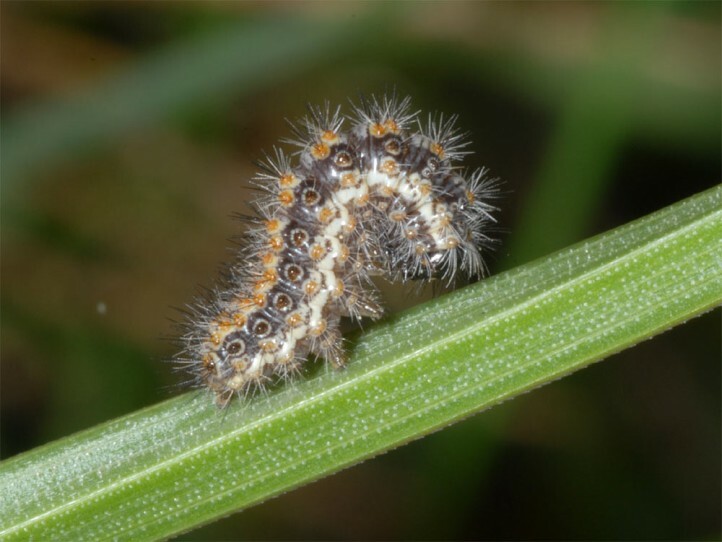 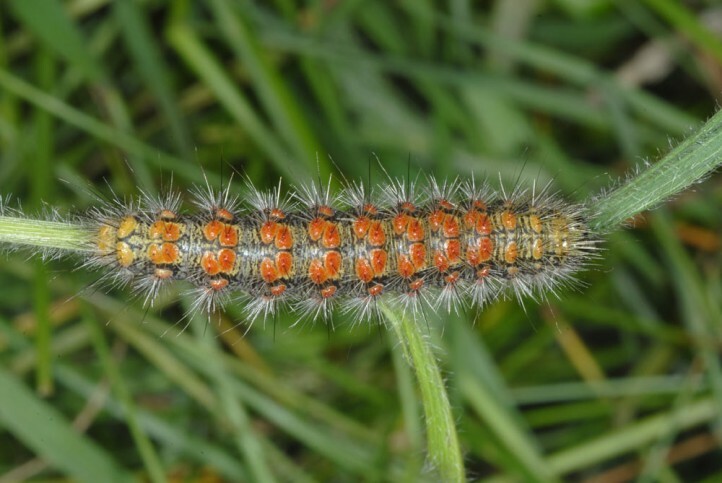 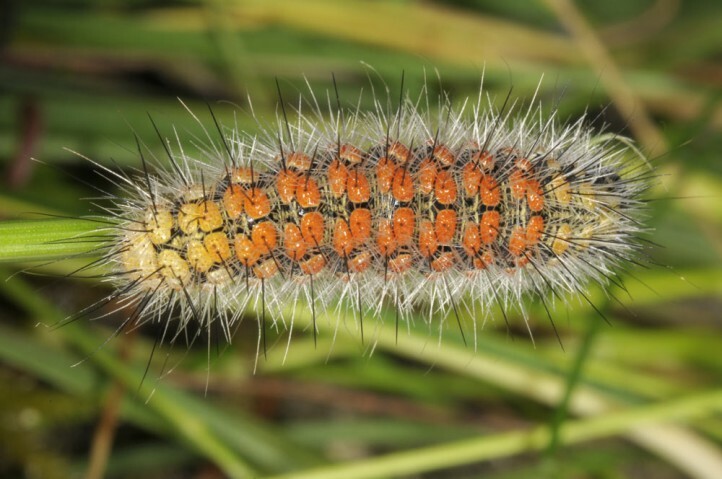 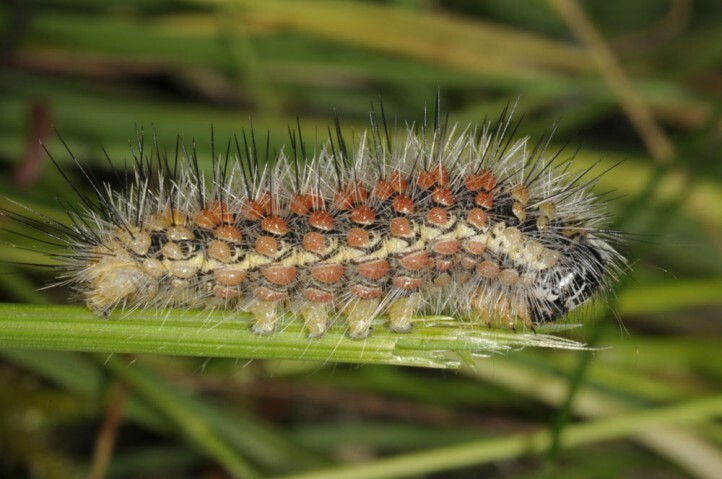 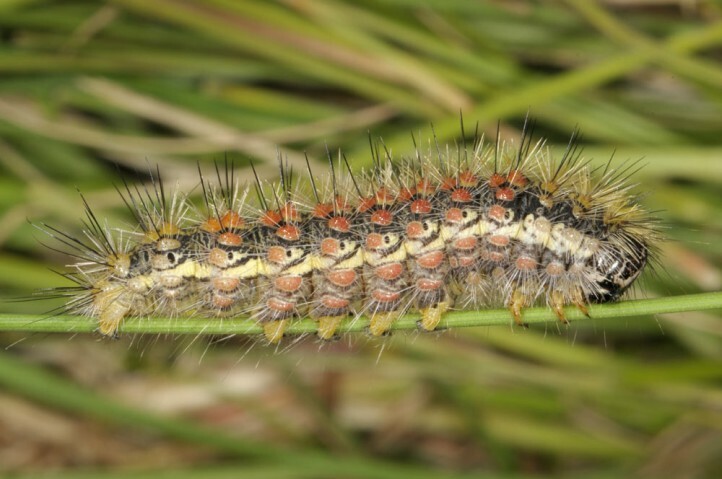 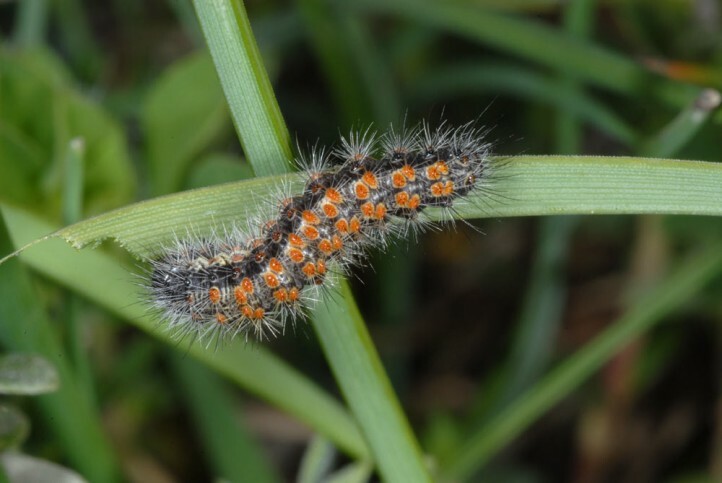 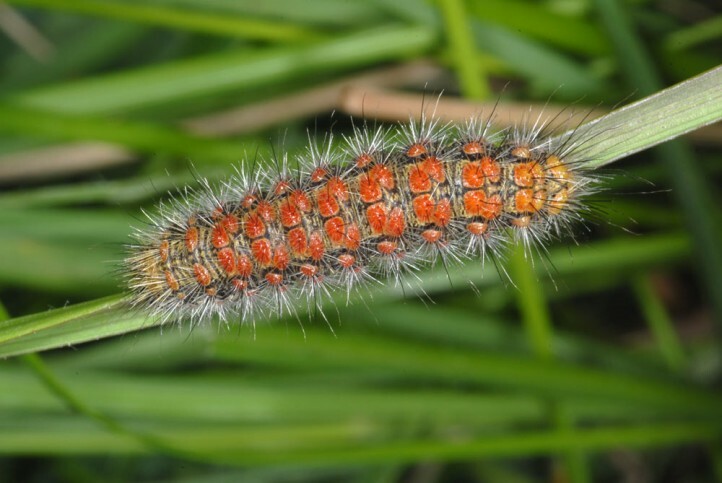 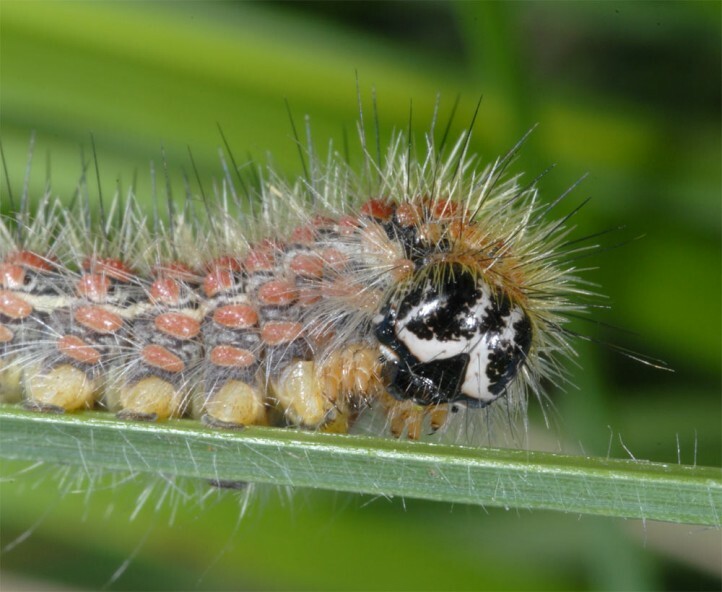 The larvae feed primarily on grasses (especially Poaceae). 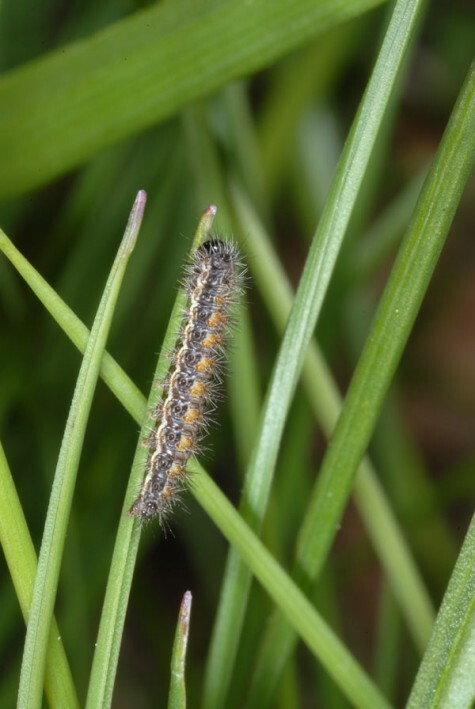 I observed more than 50 larvae in the field, almost all on grass and app. 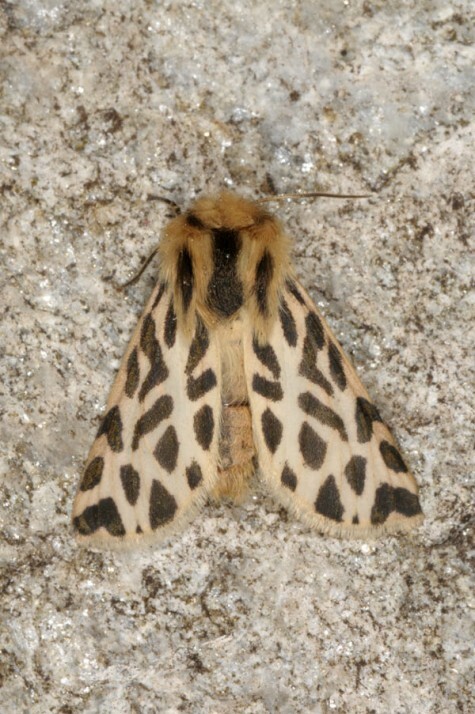 20 feeding. 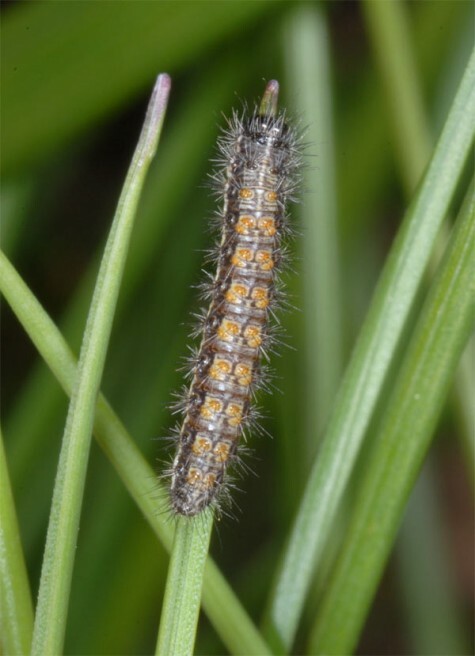 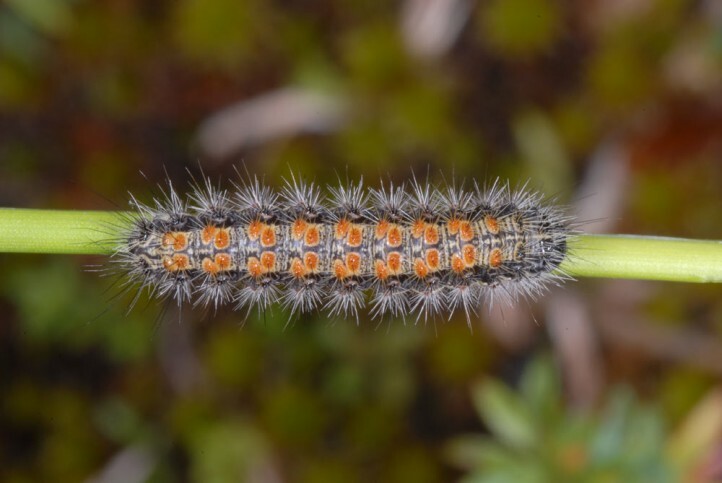 The larvae occur in extensively grazed, nutrient-poor pastures in medium high altitudes (about 900 to 1900m asl). 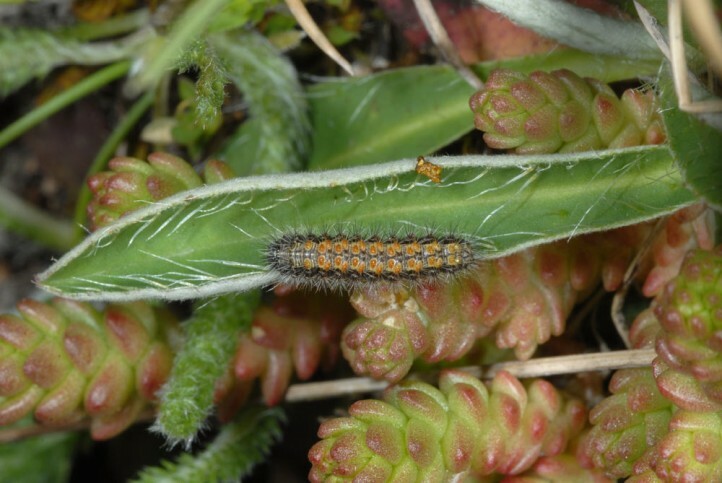 Sometimes you can observe high larvae densities at microclimatic favoured places. 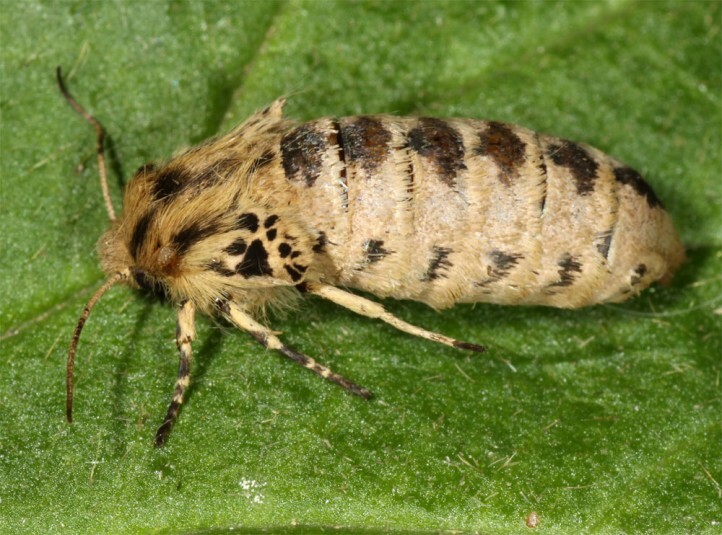 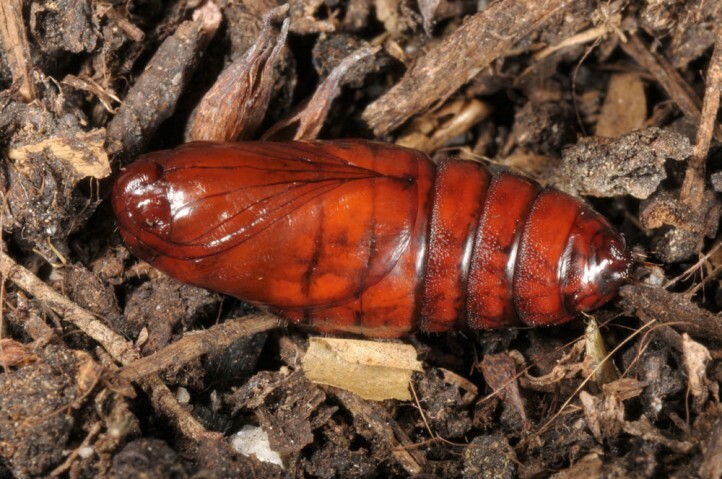 The larvae should hibernate and develop then especially in spring. 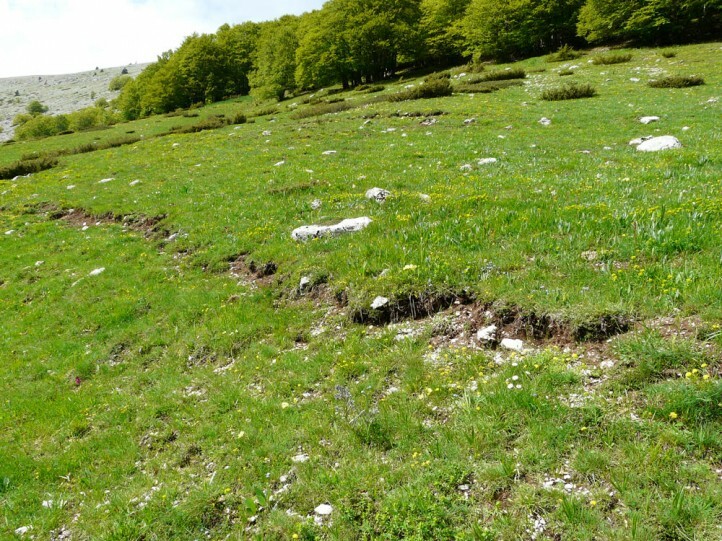 I observed them still very small to half-grown between 1000 and 1700m asl in mid-May 2013 (L'Aquila, Abruzzes). 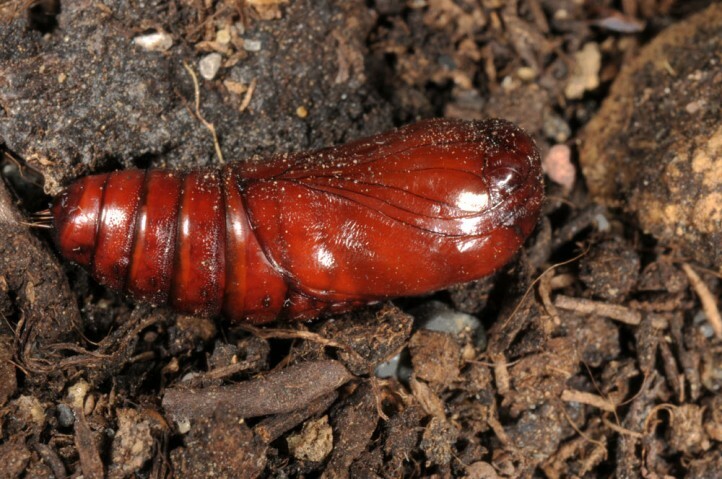 The larvae don't live hidden near the ground (e.g. 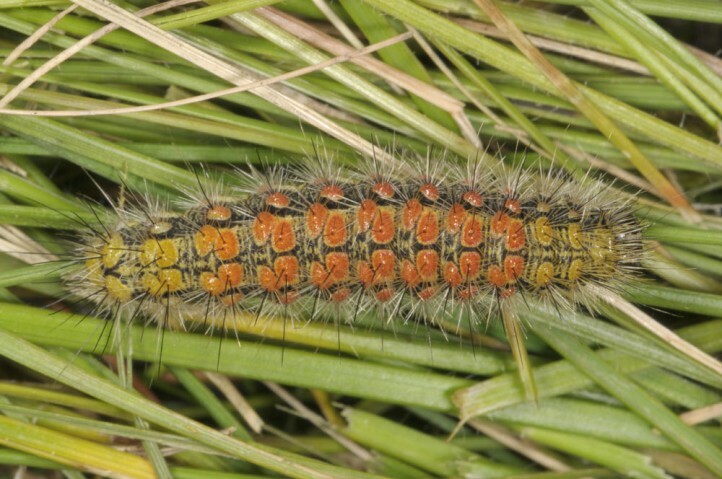 under stones or litter) during daytime as it is the case with Cymbalophora pudica, but quite openly on the grasses. 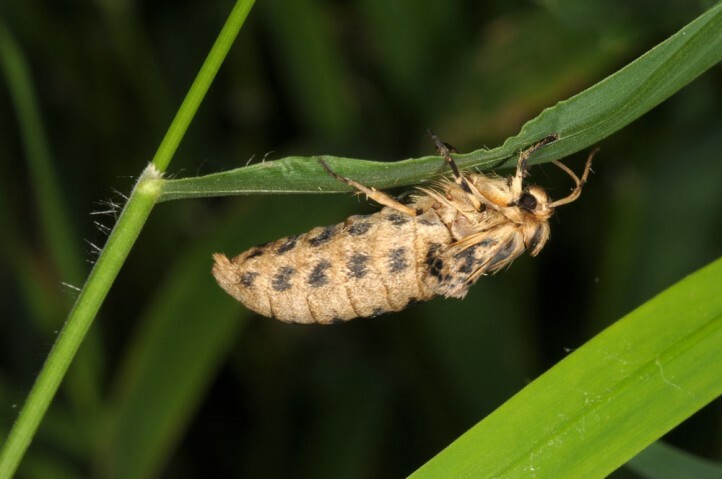 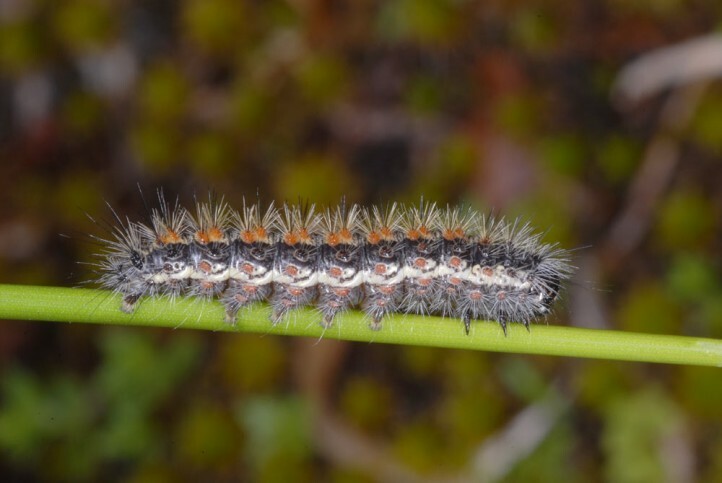 The larvae rest as prepupa for a longer time (rearing observations), so that flight time is quite late (August, early September, more rarely already July). 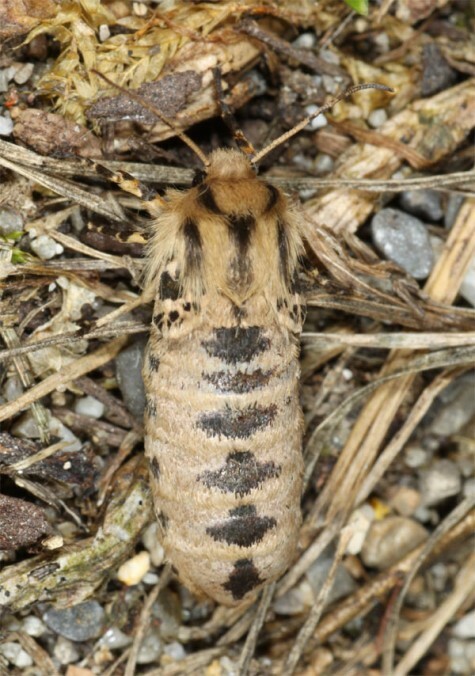 Cymbalophora rivularis depends on further extensive grazing of its habitats and should be preserved from touristic exploitation. 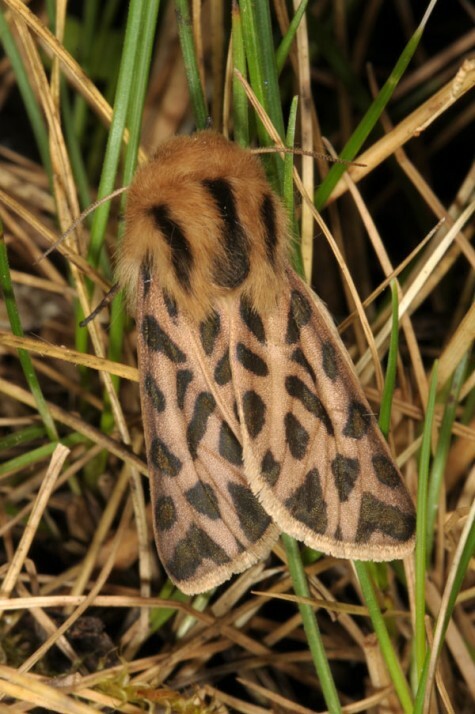 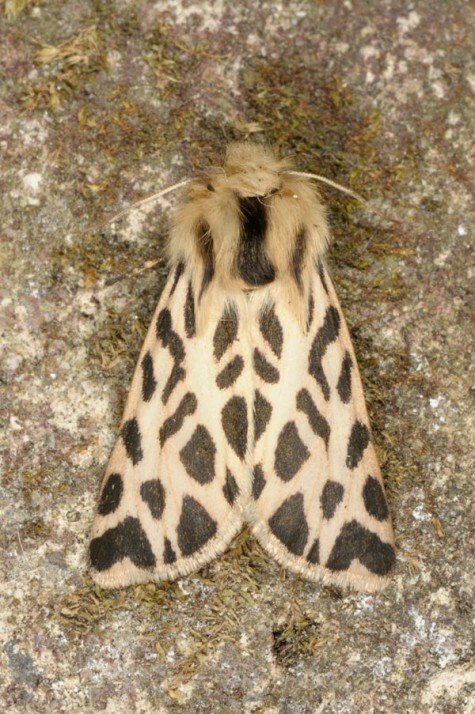 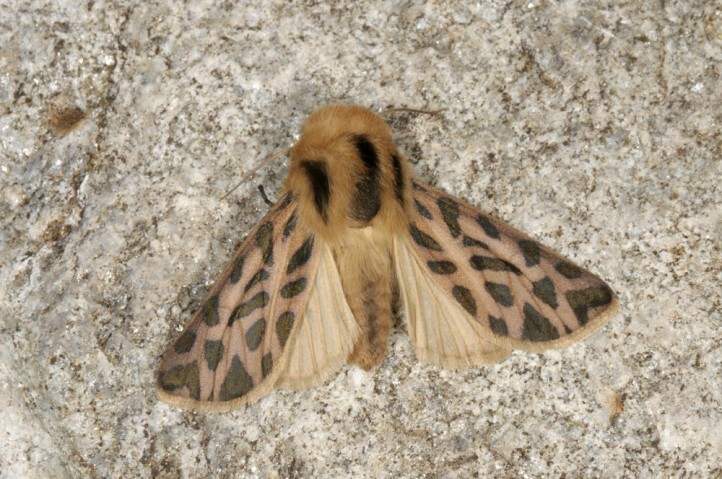 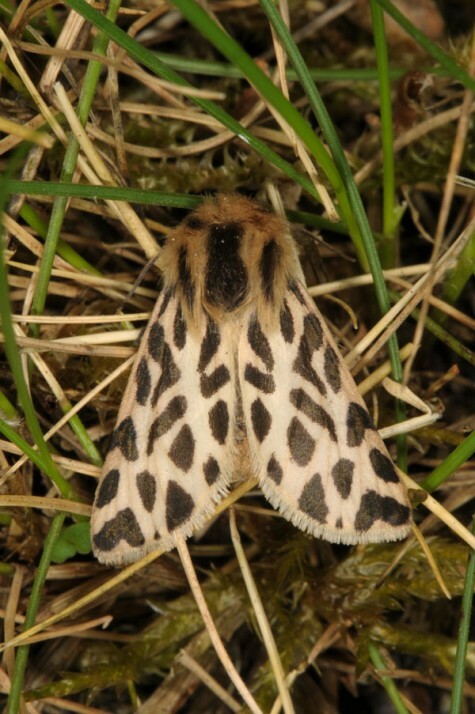 Cymbalophora rivularis occurs in Italy in the central Abruzzes (e.g. 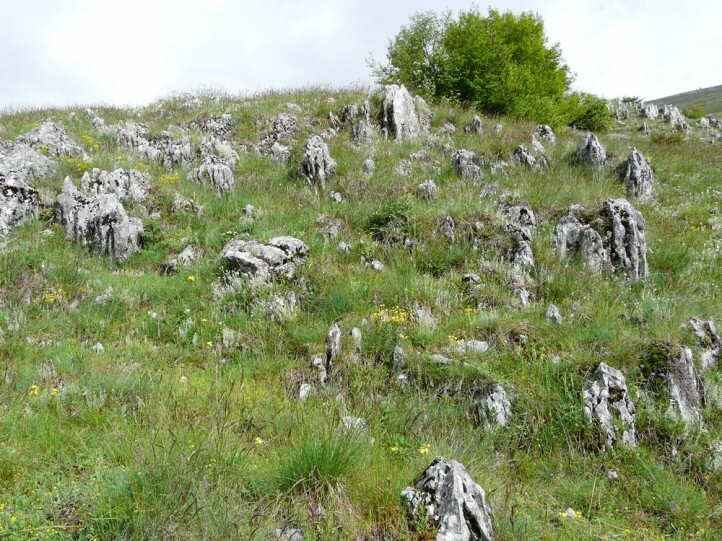 L'Aquila, Rieti). 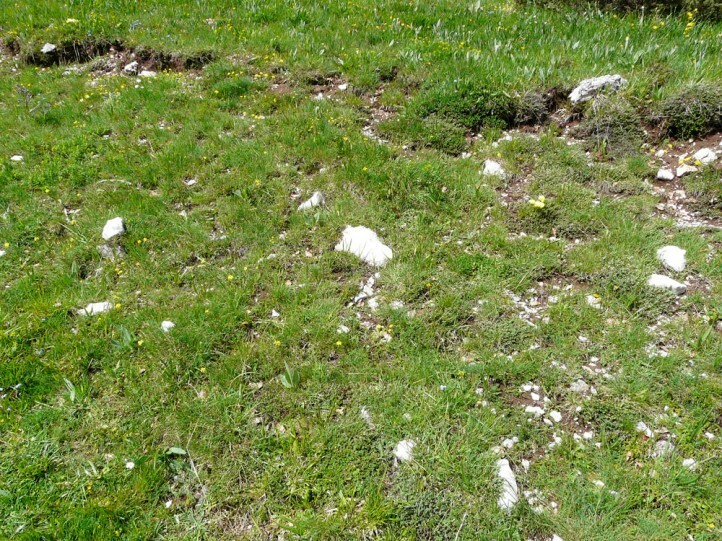 Further there are local records from the Balkans (e.g. 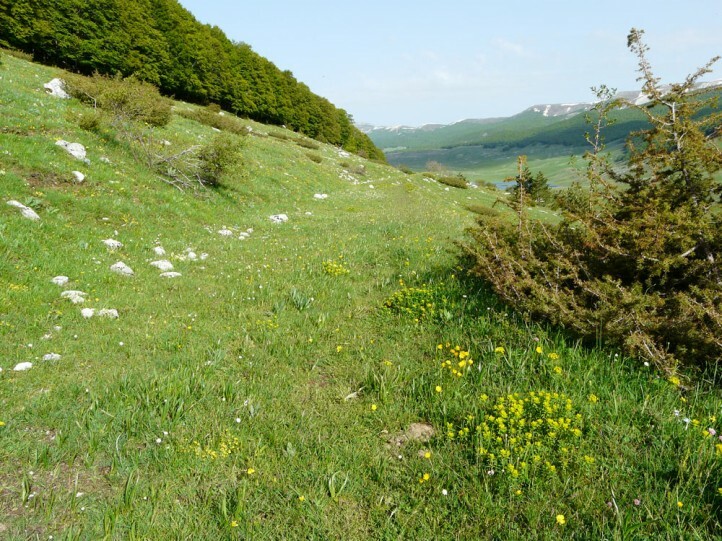 southern Bulgaria) and Caucasus.